» Hocus Pocus Family Fun Day at the Palace! Home » Contest » Hocus Pocus Family Fun Day at the Palace! The Palace Theatre is hosting a Spooktacular Family Fun Day on Sunday, October 28th! 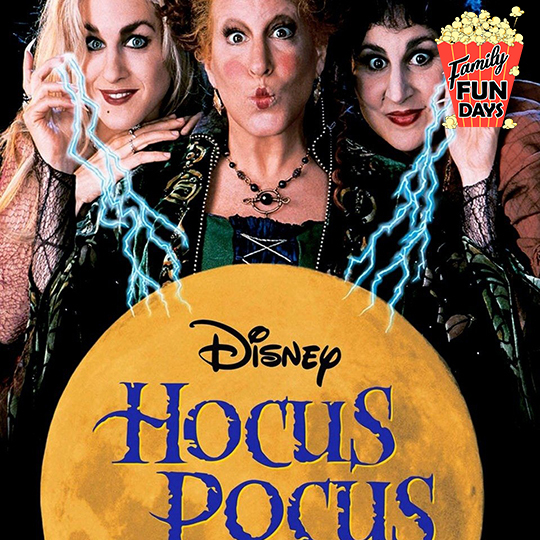 There will be a screening of the movie Hocus Pocus (1993, 90 minutes, Rated PG), Trick-or-Treating around the boo-tiful Palace Theatre, ghoulish crafts and fang-tastic games! All are encouraged to come dressed in costume, but costumes are not required to join in pre-film activities! All Kids 12 & Under get FREE POPCORN! Doors open at NOON for Activities and the movie starts at 1:00PM. Tickets are $5 and can be purchased HERE. Want to win a family 4-pack of tickets?? Courtesy of the Palace, I am giving away TWO 4-packs of tickets for the show. To enter, comment below with “pick me.” Winners will be randomly selected on October 18th and notified by email. (Please include your full name and email address for the tickets.) Good luck! Presented by CDPHP and sponsored by CAP COM Federal Credit Union. This entry was posted in Contest, Events, Kids and tagged events, Giveaway, kids, Palace Theater. Bookmark the permalink.